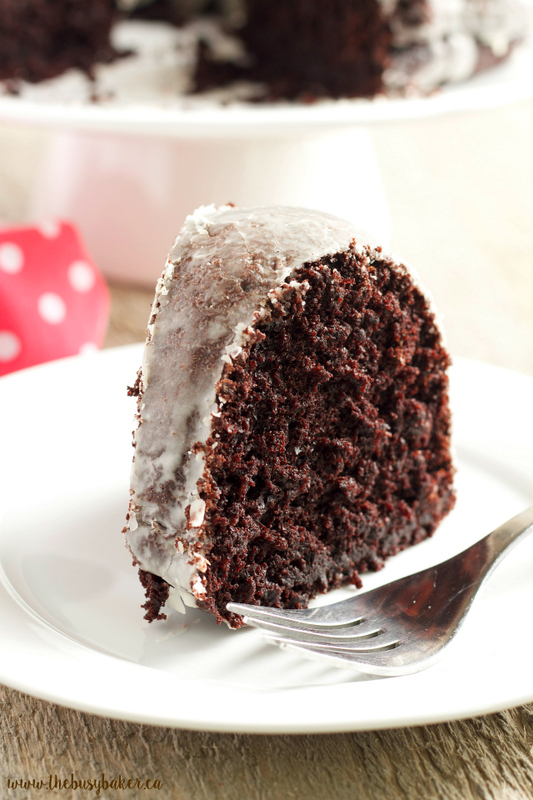 This Glazed Chocolate Donut Bundt Cake tastes just like everyone’s favorite coffee shop donut! 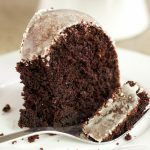 It’s the perfect chocolate bundt cake recipe: quick and easy, moist and fluffy, and oh so chocolatey! And the simple and easy sugary glaze just puts this dessert over the top! Watch the video below to see how I make it, and don’t forget to scroll down to the end of this blog post for the full printable recipe! 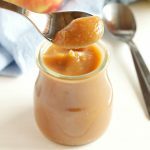 *I originally shared this AMAZING recipe with my readers in October 2016. I’m re-sharing it today with a brand new tutorial video, making it even easier for you to make it at home in your own kitchen! I’ve mentioned before that if I had to choose between salty and sweet I’d choose salty every time. Given the choice between a bowl of buttery popcorn and a piece of cake the popcorn would win, hands down, every single time. But donuts? Now that’s another story entirely. I don’t know exactly what it is about donuts that makes them so much more delicious than other sweet treats, but whatever it is is fine with me!! I’ve actually already shared my love of donuts with you several times, like when I shared these yummy Skinny Chocolate Donuts with you, or my all time favourite (and one of the most popular recipes on my blog) these Old Fashioned Cinnamon Sugar Cake Donuts. 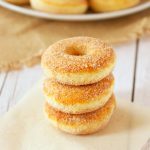 To be honest, I don’t think I’ve met a donut recipe I haven’t liked! When it comes to donuts I don’t discriminate, but one of my all time favourite donuts is a tender chocolate cake donut coated in a crispy, crackly, sugary glaze. 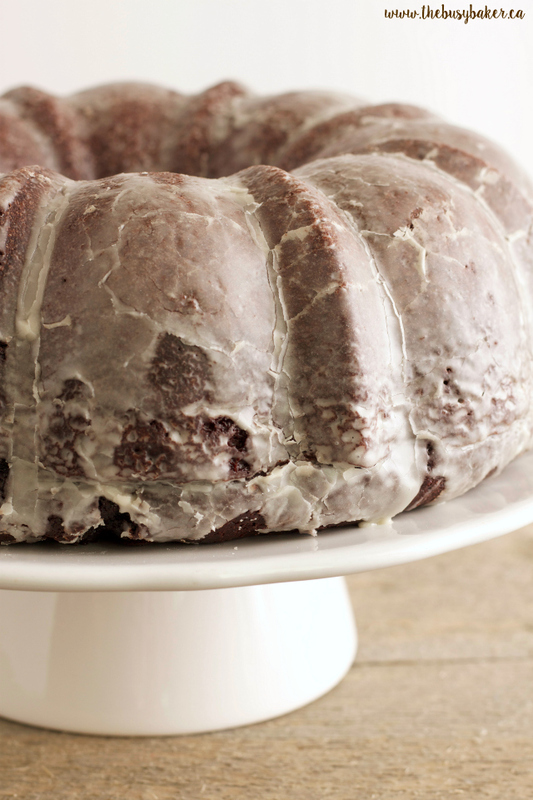 This Glazed Chocolate Donut Bundt Cake is all those things and more!! I’ve been trying for years to perfect a glaze like this for my home baking and I’m happy to say I’m finally pleased with the texture – it’s perfectly sweet and thin, not at all like a frosting – it may just be the best glaze ever. 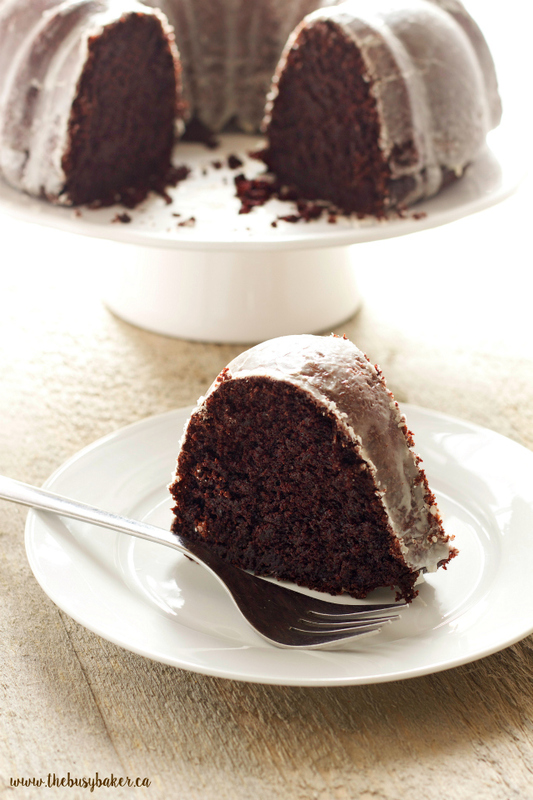 And paired with tender, moist chocolate cake…who could resist?? 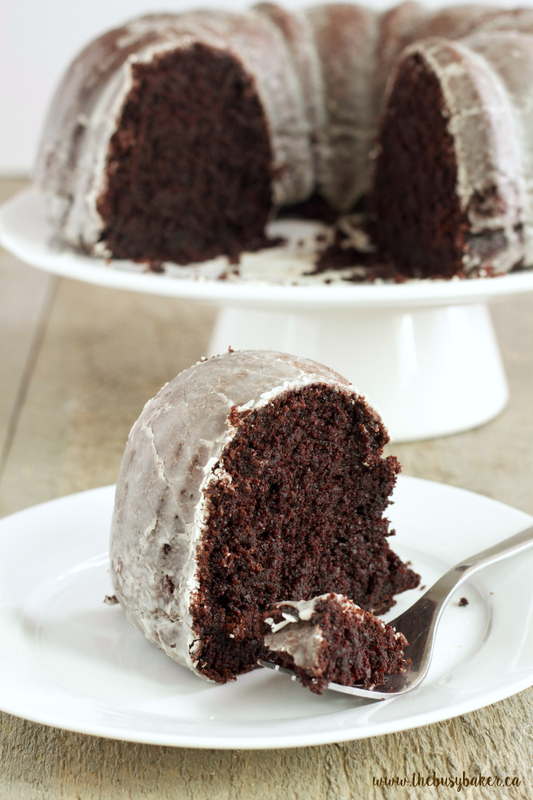 The recipe for this Glazed Chocolate Donut Bundt Cake is actually the same recipe as my No-Fail Chocolate Layer Cake. It’s pretty much the best chocolate cake recipe you’ll ever come across, and as they say – if it ain’t broke, don’t fix it. 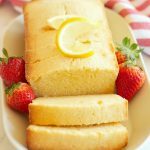 I use different versions of this recipe for cakes and cupcakes of all shapes and sizes and it turns out perfectly every single time. It’s been in my recipe collection for over ten years and it’s not going anywhere anytime soon! I even made a version of it for a friend’s birthday here in Romania a few weeks ago without measuring cups and measuring spoons and it still turned out beautifully! If that’s not a good cake recipe, I don’t know what is!! 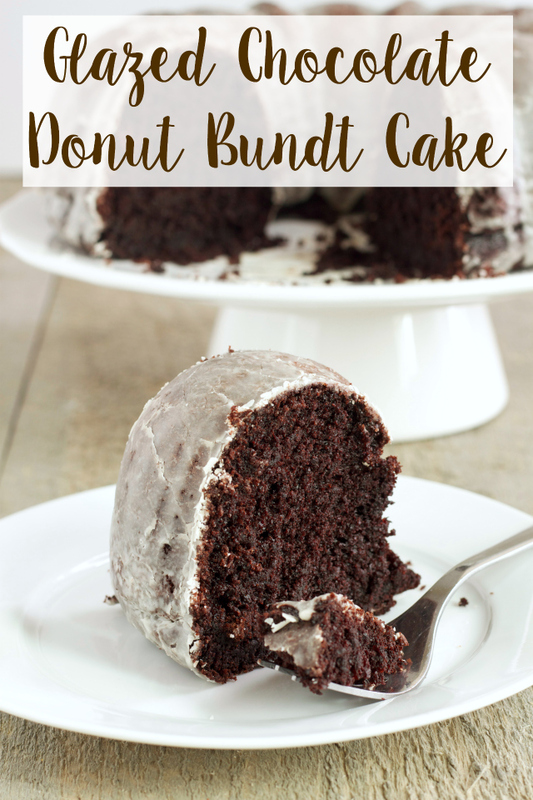 And don’t think for a second about skipping the last ingredient in this Glazed Chocolate Donut Bundt Cake recipe – trust me, it is what makes this cake something special! 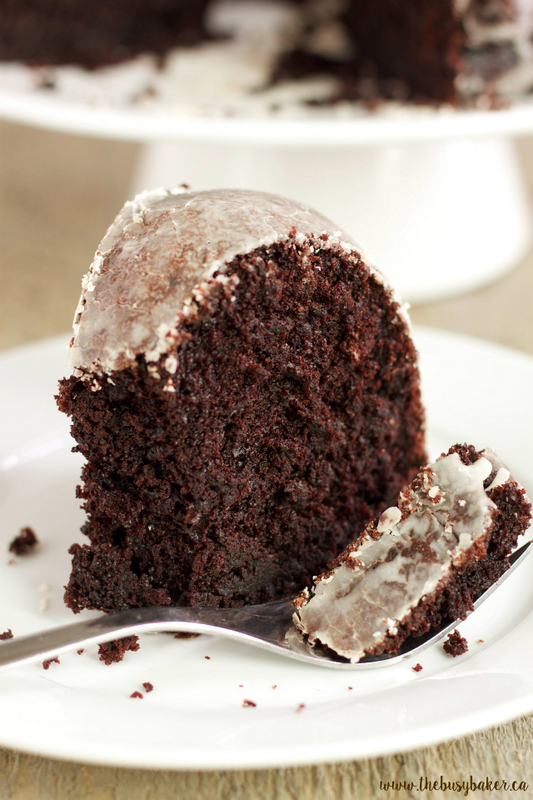 Between this amazing chocolate cake and the perfect glaze, you’re going to be in donut-inspired heaven before you know it! 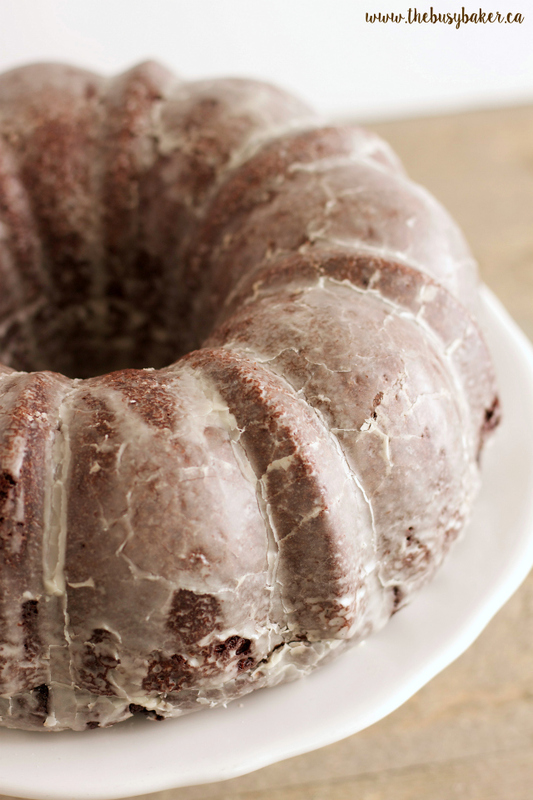 I hope you enjoy this Glazed Chocolate Donut Bundt Cake recipe! Let me know in the comments below, what’s your favourite indulgent dessert to make at home? 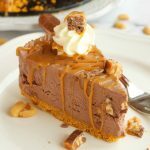 Looking for even more delicious desserts??? Try the ones I’ve linked below! 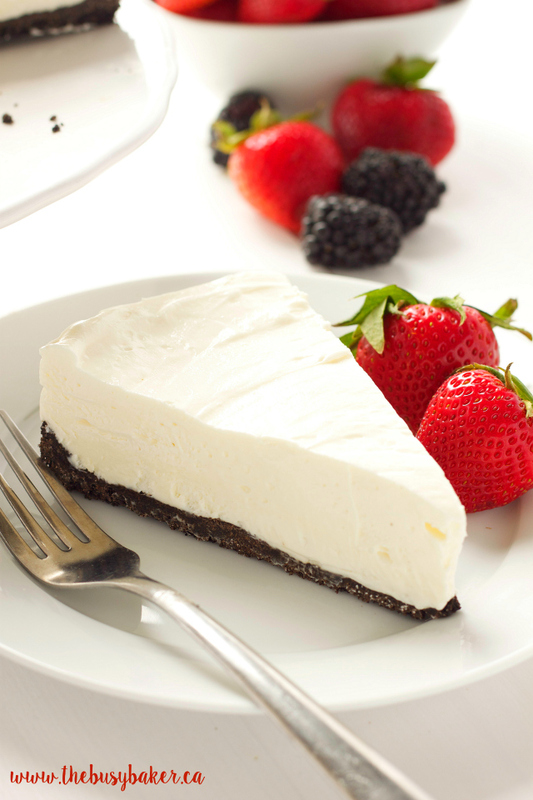 The filling for this Almost No-Bake Cheesecake is made from only 3 ingredients, and it’s a dessert that’s sure to impress!! 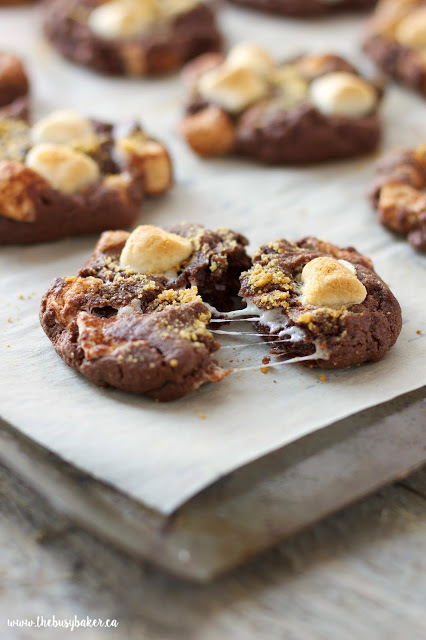 These Double Chocolate S’mores Cookies are extra decadent! 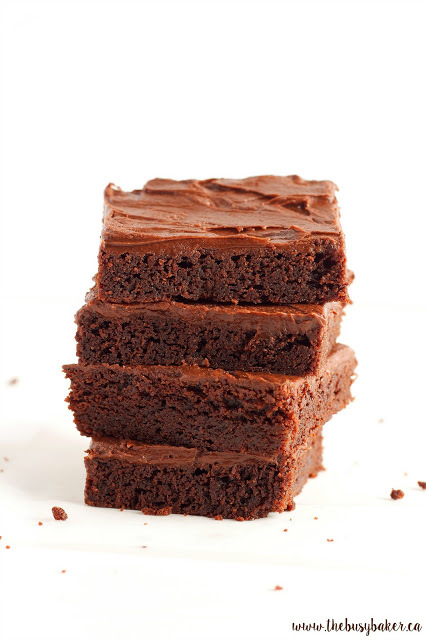 My Grandma’s Fudge Brownies are the easiest brownies you’ll ever make and they’re SO delicious!! 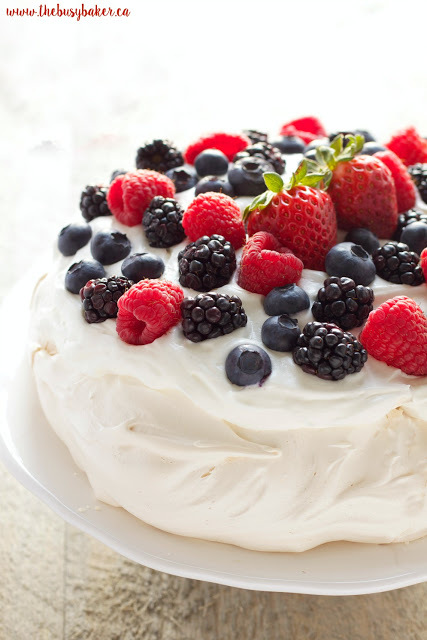 This Perfect Pavlova is the dessert that never disappoints!! And it’s gluten-free!! This Glazed Chocolate Donut Bundt Cake is a deliciously sweet and tender chocolate cake with the perfect donut glaze! Next, prepare your bundt pan by greasing it well with 2-3 tsp butter or margarine and "flouring" it with cocoa powder. Tap our as much of the excess cocoa powder as you can - you only want a very thin layer to coat the inside of the cake pan so it disappears as the cake bakes. After the bundt pan is greased and floured, measure the flour, white sugar, brown sugar, cocoa powder, baking soda, baking powder and sea salt into a large mixing bowl. Give the mixture a stir with a wire whisk to combine all the ingredients. To a separate bowl add the buttermilk, vegetable oil, eggs, and vanilla and whisk them together with a fork. Set your kettle to boil and once it's boiled, measure out one cup of boiling water. Add the boiling water to the cake batter in a slow stream, whisking as you add it. Continue adding the boiling water and whisking until the boiling water is all combined and the batter is smooth. Pour the batter into the prepared bundt pan and bake at 350 degrees Fahrenheit for 36-40 minutes, or until a toothpick inserted into the cake comes out clean. Let the cake cool almost completely on a wire rack in the bundt pan. While it cools it should pull away slightly from the pan, making it easy to remove when it's cool. Carefully flip the bundt pan upside down on top of a wire rack to remove the cake. Add some parchment paper under the wire rack once you've inverted the cake (this will catch the extra glaze you're about to make!). In a medium bowl, whisk together the powdered sugar, milk, and vanilla extract until smooth. Slowly pour the glaze over the cake, using a pastry brush to make sure every last inch of the cake is covered in the glaze. 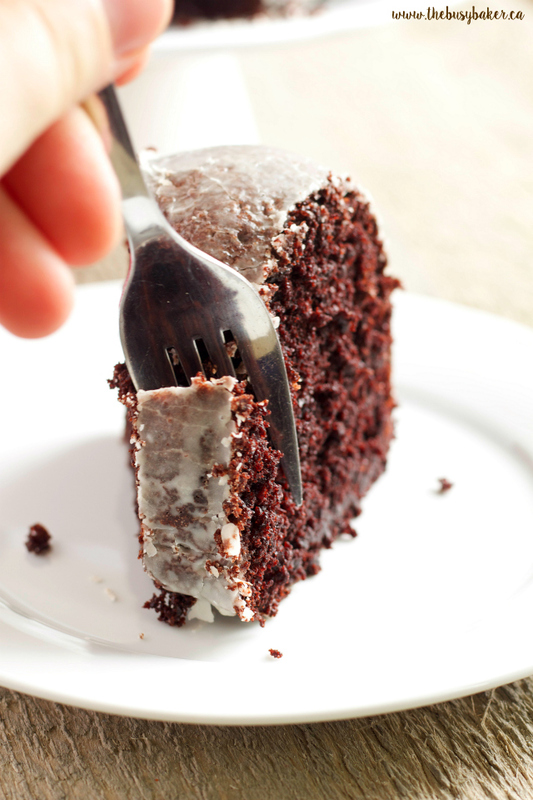 Let the glaze dry completely before slicing into the cake to achieve that perfect, crispy, sugary crust! 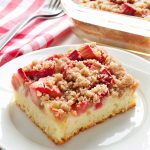 Serve the cake as soon as the glaze is dry, and enjoy! This cake is definitely a winner! Thank you for this recipe and for making me look like such a pro to everyone who enjoyed it. This is the moistest chocolate cake I have ever made. It's an amazing recipe! Best chocolate cake Recipe I’ve ever used. I used special dark cocoa powder because it’s what I had opened, and I didn’t have any buttermilk on hand so I added a couple Tbsp. Lemon juice to milk as a substitute. Still came out great! Thanks! Looking forward to baking this yummy cake. Will sure give a feedback. This was a wonderfully moist chocolate cake. My only problem was my glaze never dried into that glorious crackly finish!! I think maybe the cake was still too warm when I glazed it and it just soaked it all in…it tasted really good, it just didn’t look like the donut I was going for. I almost made a chocolate drizzle to put on top, but I decided it would be too over the top (if that’s possible! ), so we enjoyed it the way it was. I will try again though – the cake recipe is amazing! Pinning this because it just looks so perfect! And I don’t use my bundt pan nearly enough! thinking about making this for a baby shower. would the glaze still have that ‘donut’ look if i made the cake the night before? i know the appearance of glazes can be a little iffy if made in advance but i’m sure the cake itself would be fine. any thoughts on appearance? thanks! Yes, letting the glaze set overnight is actually a great way to have it set! Just be sure you cover it somehow with a cake container or a large bowl to keep the cake from drying out. OMG Chrissie, this is the BEST chocolate cake I’ve EVER baked!! I used the Hershey’s Special Dark cocoa powder and 5 Tbsp of my handy Saco buttermilk powder instead of actual buttermilk, and it made the most chocolately, dense but not heavy, moist cake, literally the best cake I’ve ever eaten!! I made it for my adult son’s birthday, he took his normal huge slice, and he couldn’t even finish it, it was so decadently delicious!! Ten stars, lady, and I can’t wait to see what other great recipes I can find on your site. Thanks so much for a keeper recipe! So glad you love this recipe as much as we do!! It’s one of my most requested recipes…no surprise!! Will this rock of I added a bit of Rum? This looks so fluffy! I can’t wait to try making this! I’m so glad you realized the mistake and that the cake worked out so well for you! Baking times can vary depending on the kind of oven you have, so that’s not surprising. I’m so happy you enjoyed the recipe! I’m just curious, after adding boiling water, should the cake better be very watery? It seems it should be thicker!